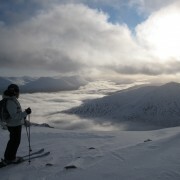 Magnificent backdrop when skiing at Glencoe Mountain. 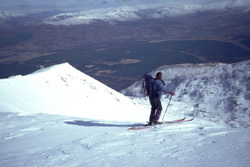 Heading to the Spring Run at Glencoe Mountain. 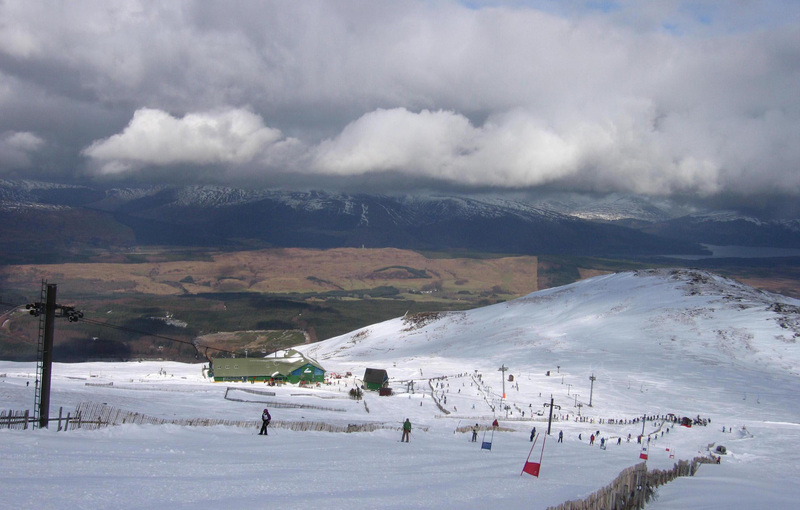 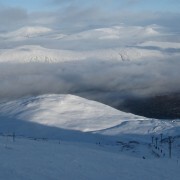 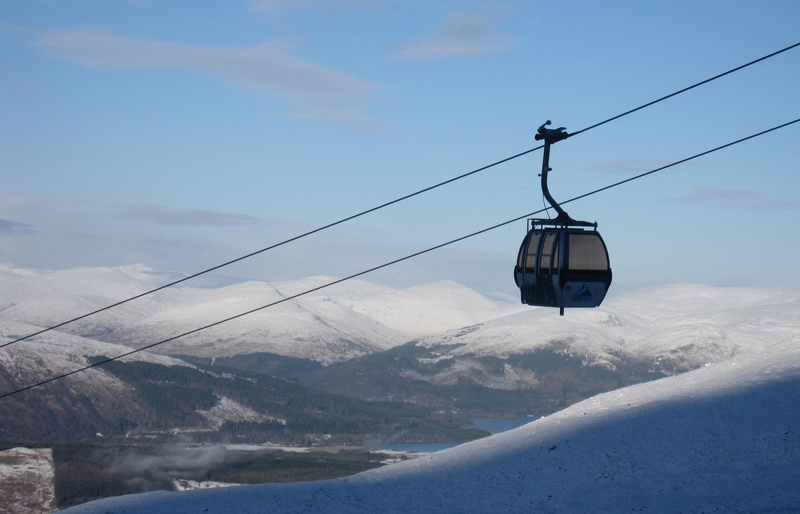 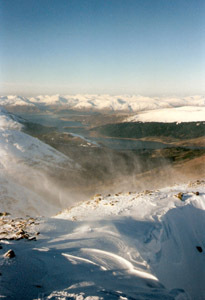 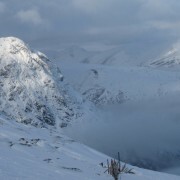 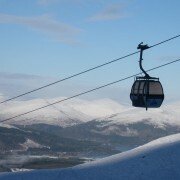 The mountain gondola at Nevis Range runs year round. 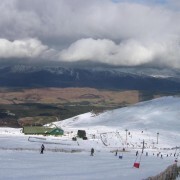 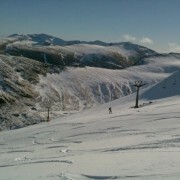 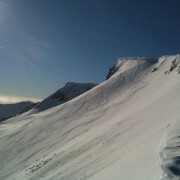 Great conditions at Nevis Range. 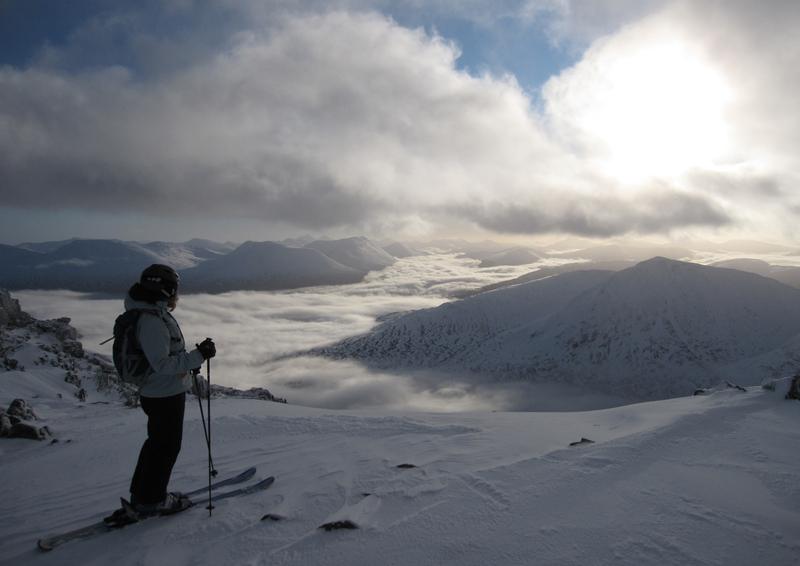 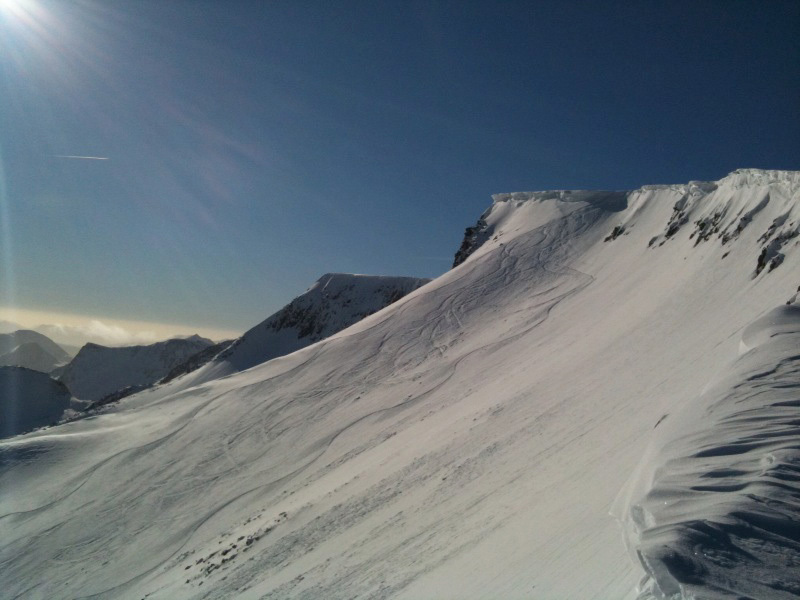 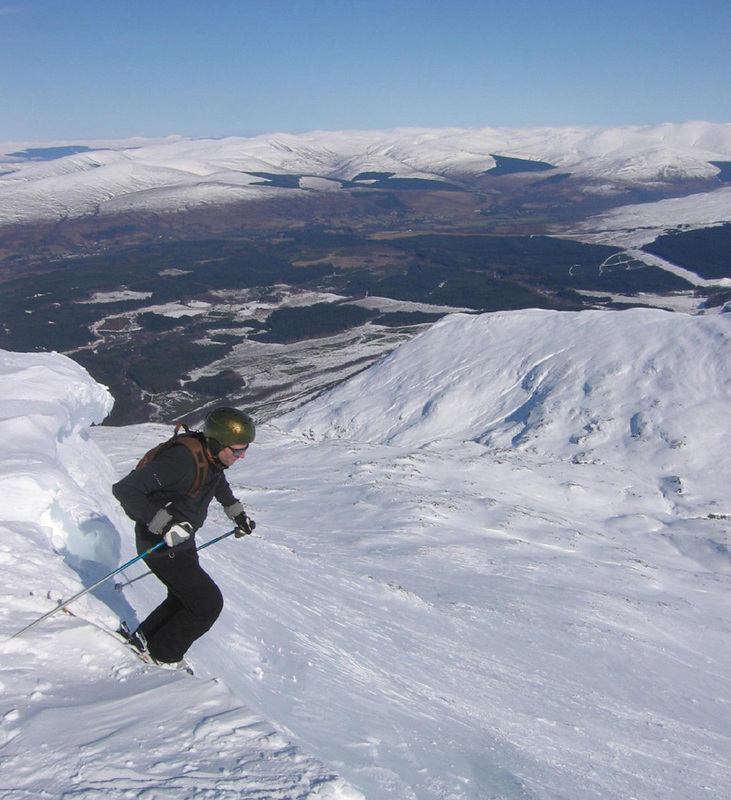 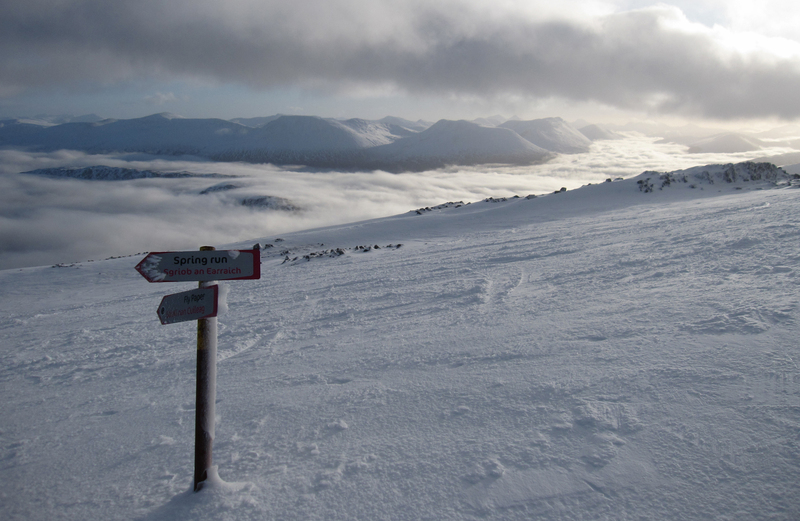 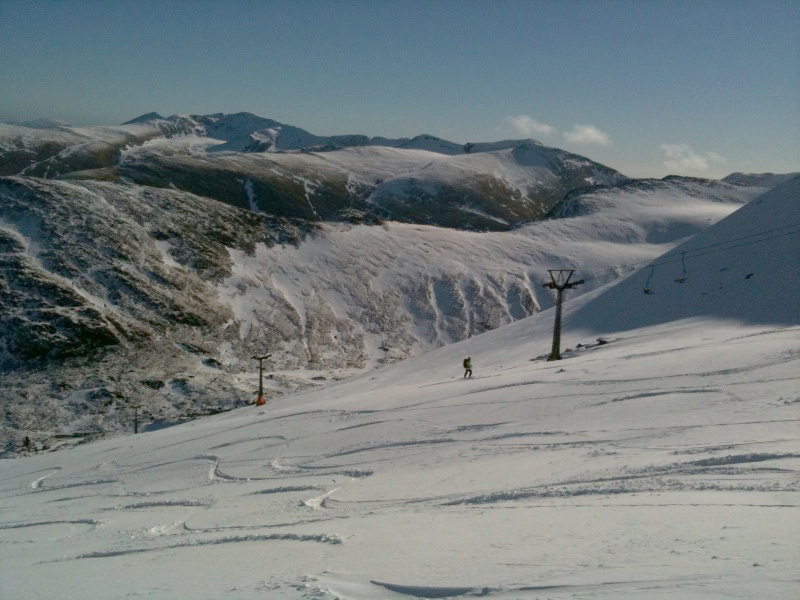 For the more adventurous, skiing over the back at Nevis Range is treat on blue ski powder days! 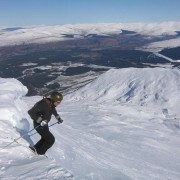 Dropping 'over the back' into Wingers Wall at Nevis Range. 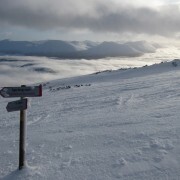 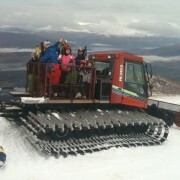 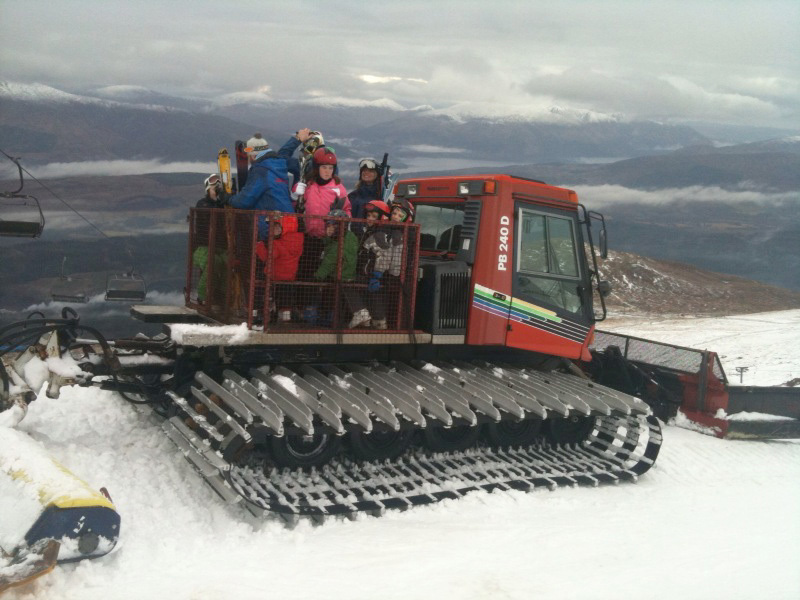 Braveheart tow, located in the back corrie at Nevis Range ski area. 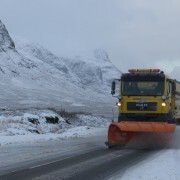 Taxi service in leaner snow conditions. 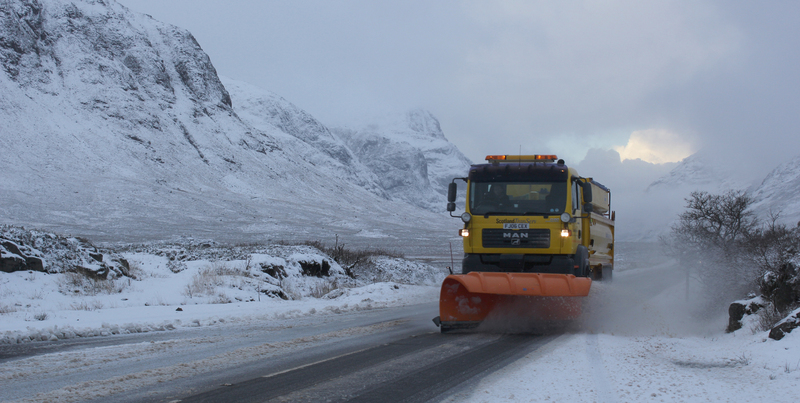 Keeping the A82 clear on a more wintry day in Glencoe.